Today was a good one, as usual. I went to church, which has been a while, so that was nice. 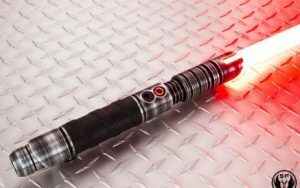 When I got back home I did some more research on the lightsabers and I ended up finding one called Fury, which I may or may not like more than Epoch. My dad prefers the Fury, but still thinks Epoch is cool as well. This is a mix of weathered Juggernaut hilt and pieces numbered 7. It’s not really the one I want, but I feel like I could make more ideas inspired by it. The weathered Disciple with of course, the red blade. 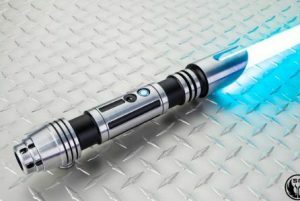 Cheaper than the rest, since it’s an apprentice lightsaber. Less exciting, but still really nice. I might get this as a second. Silver emitter Epoch. Although that’s an arctic blue blade, I’d really love to see that with frost white. Apparently it has a comfortable handle and is very elegant. That’s the first one that I saw where I just wanted it immediately. Standard Fury. It’s very nice looking. Has more detail than the Epoch, but keeps the simplicity and more modern look that I want. I might prefer this over the Epoch. I’m gonna have to sort of print them out on paper and take a look at them every day while I save up for the Elite level lightsabers before I pick, that way I absolutely know which one I want. For now I’ll look at another few designs, or customize a couple more to make sure I’m not missing out on any. Other than that, I spent some time studying math and went on the new Pixelmon anarchy server. Nothing much happened today really.